Gonzalez is a bilingual reading specialist with over 17 years of K-5 classroom experience. Along with working on research in vocabulary development, Mrs. Gonzalez has been a literacy coach and staff developer in Massachusetts, Maryland, New Mexico, and California. Her work includes research in bilingualism, reading development, and classroom lessons that integrate content areas to the Common Core Standards. 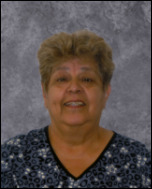 Mrs. Quintanilla was born in El Salvador and enjoys traveling with her family. Both her and her husband are educators and are parents to two beautiful girls, one which will be starting Kindergarten in the fall. Mrs. Quintanilla fell in love with teaching over sixteen years ago and has had the opportunity to teach in public, private, and rural communities not only in the US but also abroad. Promoting growth and change in children, adolescents, and families, Dr. Vivo provides individual and family therapy, consultations with schools and parents, group therapy, and assessment / testing. He works primarily with clients experiencing attention problems, behavior difficulties, disturbances in mood, or conflict with family members. Mrs. Muñoz joins us from St. Therese School in Alhambra where she taught 5th grade and Spanish to the upper grades. Having attended Catholic School for 12 years, she is an advocate of Catholic school education and the traditions and values passed to the students and their families. She was born and raised in Los Angeles and has trained in a variety of Latin styles of dance since the age of eight.